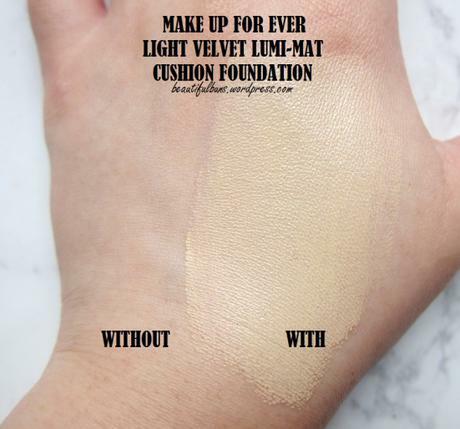 There are several variations of cushion foundations these days – there’s the one with actual cushion sponges soaked with the essence of foundation (slightly more watery in terms of texture, such as the Kbeauty ones from Hera, Laneige, Sulwhasoo etc), and there’s also this new one where there’s foundation underneath a plate surface (similar to that of Givenchy). 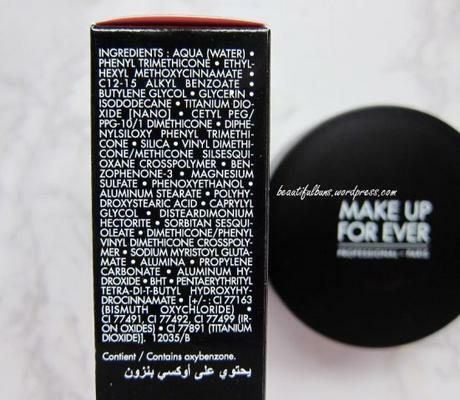 The more the merrier I say, so let’s test allll the cushion-type foundations! The Packaging: A compact casing with an inbuilt mirror. Press down on the surface plate and the foundation will be dispensed via pinholes from the bottom. 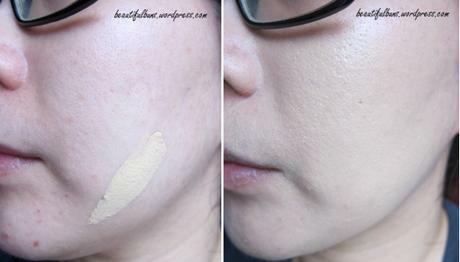 One thing I note that you should preferably finish each portion of dispensed foundation or else you won’t have a clean plate to place your cushion on. 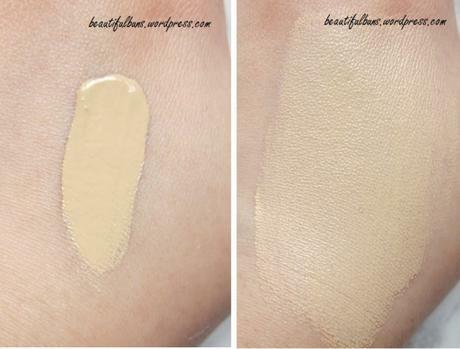 The Texture: A creamy smooth foundation that glides easily and smoothly across the skin. The Verdict: Like its name says, this is indeed a lumi-mat i.e. a glowy-matte finish. 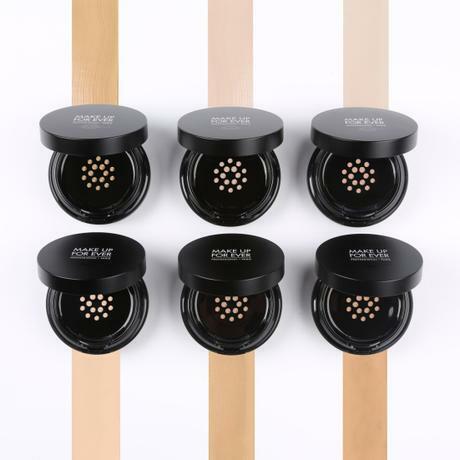 The coverage is medium-high, sufficient enough to cover most dark eye circles. 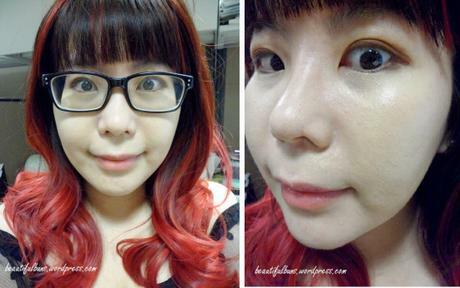 The initial glow is pretty decent, visible across areas like the nose bridge as well as cheek bones. 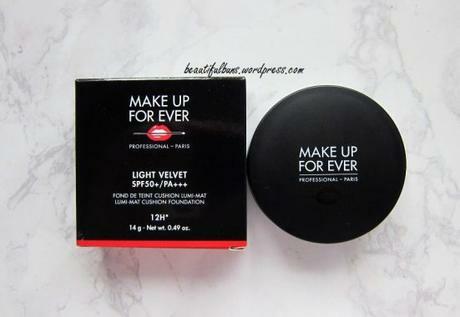 For those who prefer a matte finish, dust on some of my favorite Make Up For Ever Ultra HD Microfinishing powder (I use the translucent one). However, I note that the oil control isn’t that strong – about 3-4 hours in, the natural sebum shine starts appearing. Dabbing with a sheet of tissue works pretty well, and it only lifts a very very slight amount of foundation. There isn’t any oxidisation, nor does it get patchy. It has medium staying power as well. 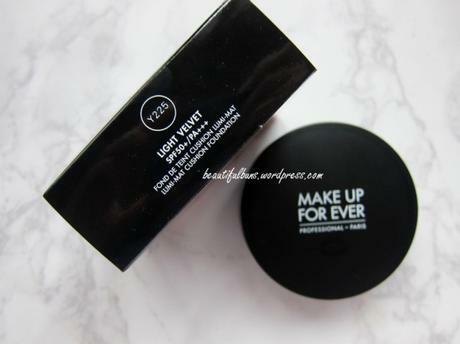 Overall, a decent cushion foundation that I’d recommend for those with dry/drier/combi skintypes, or if you’re going to a place with drier climate – for Singapore’s humid weather, it lasted about 4-6 hours at best for me before fading.